Stay cozy and safe this winter. 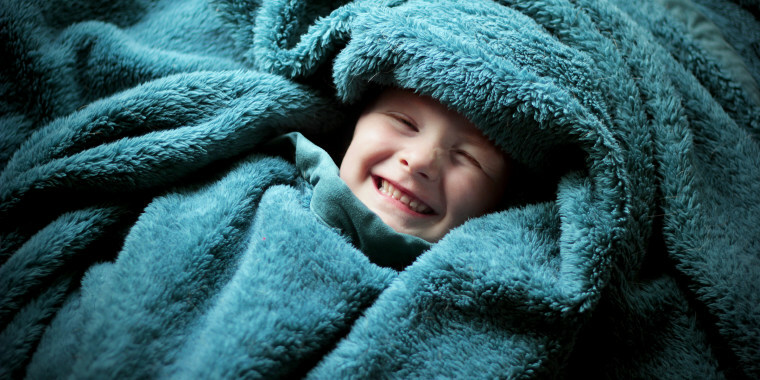 There’s nothing quite like curling up on the couch with a toasty blanket, especially when the temperature drops. And run-of-the-mill blankets pale in comparison to ones that actually heat up. But like any device you plug in, heated blankets should be used carefully if you’re hoping to avoid a fire, and that means taking a few safety precautions. With so much potential for danger, you’d think electric blankets would cause countless fires on any given year, but the danger isn’t as widespread as you might expect. 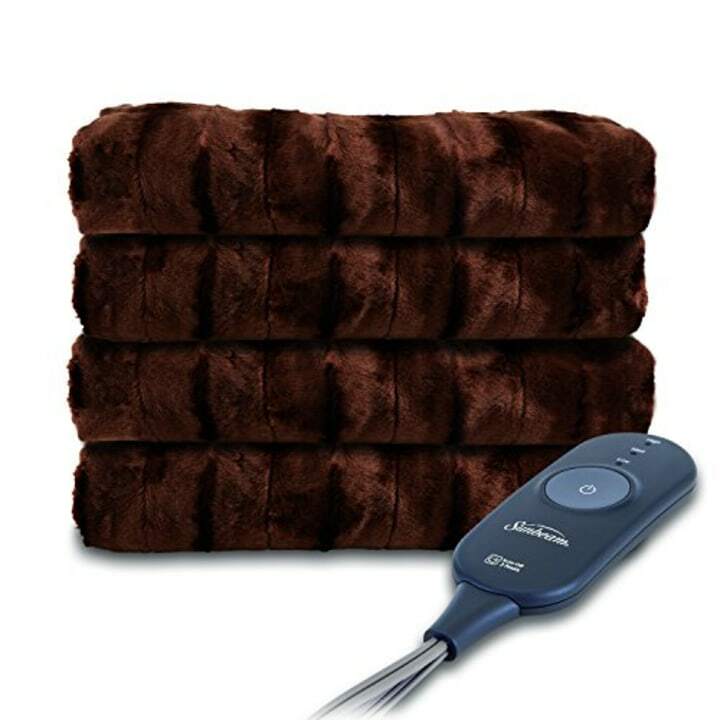 “Electric-heated blankets don’t statistically reflect a significant home fire hazard. Considering that there is an average of nearly 360,000 home fires each year, fires started by electric blankets represented just .04 percent of those fires,” said Susan McKelvey, Communications Manager of the National Fire Protection Association. At the same time, you should always exercise caution and take a few preventative measures before buying or using any electric blanket. “Take a look at your blanket before use, particularly at the start of the season if it’s been in storage, to make sure it does not appear damaged, particularly with regard to the electrical wiring,” said McKelvey. Naturally, you should never leave an electric blanket unattended while it’s being used, and should turn it off whenever you go to sleep. “First, always check to make sure your product does not have an open recall. Checking recall status is one of the single most important things consumers can do when deciding to purchase new items,” said Maureen Vogel, a spokesperson for the National Safety Council. Check to see if your product has been tested and approved by an independent testing laboratory, like Underwriters Laboratories. Never buy an electric blanket from a secondhand shop or garage sale. Make sure the blanket’s cord doesn’t create a tripping hazard. “Follow the manufacturer’s instructions for proper usage, including whether the blanket can be used with other bedding or whether you should use it on its own,” Vogel said. Last but not least, certain people should exercise extra caution while using a heated blanket. “It’s important to remember that electric bedding should not used for an infant or an immobile person, or anyone insensitive to heat, such as a person with poor blood circulation," said Joel Hawk, the Underwriters Laboratories Principal Engineer for electric bedding. "An over-heating condition may not be obvious to the user, but can result in a thermal burn if exposed long enough. Read and follow all instructions provided with the product." Now that we know what to look for, here are some options we like. Thanks to its patented Safe & Warm low-voltage technology, this blanket provides peace of mind and warmth. It operates on less than 25 volts — the same current it takes to light up a light bulb — and comes equipped with a pre-heat feature. The best part? You can use the dual controller to get a custom heat setting for you and your snuggle partner. This no. 1 best seller comes with an EasySet Pro Controller that has 10 heat settings and a 10-hour auto-off function. Even better? It's machine washable and dryer safe! 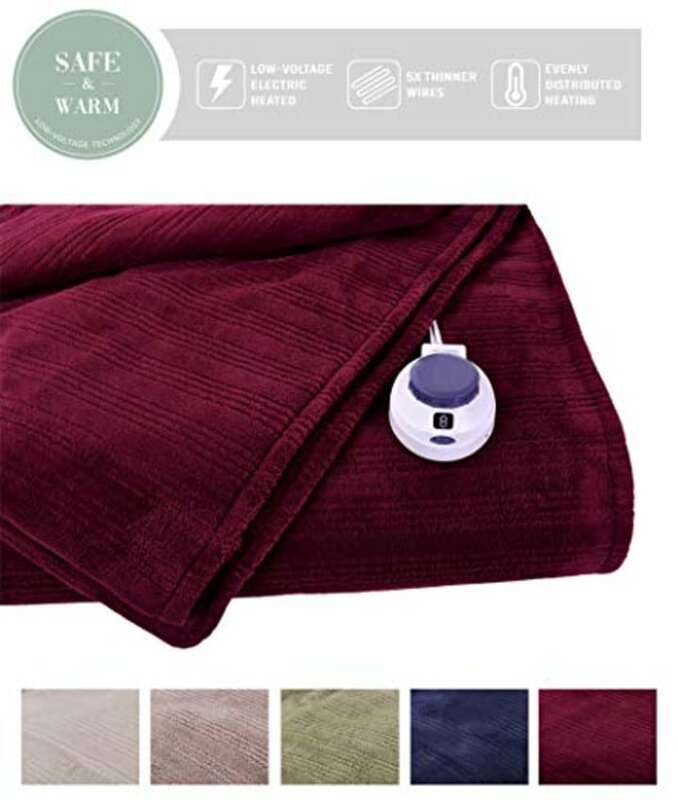 This heated throw features a 3-hour auto-off function. A Thermofine warming system senses and adjusts temperature to make sure you get consistent warmth for hours on end, plus it comes in several fun colors. 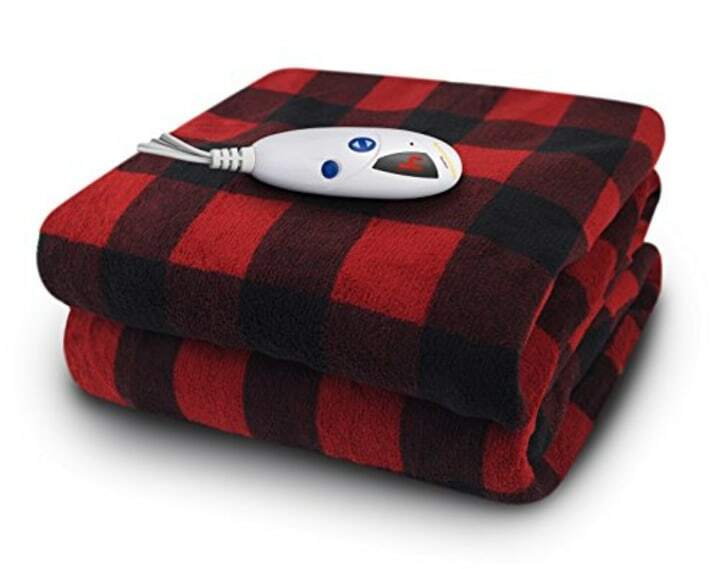 If the cute flannel print doesn't make you fall head over heels, the six heat settings and automatic shut-off function on this heated blanket sure will. 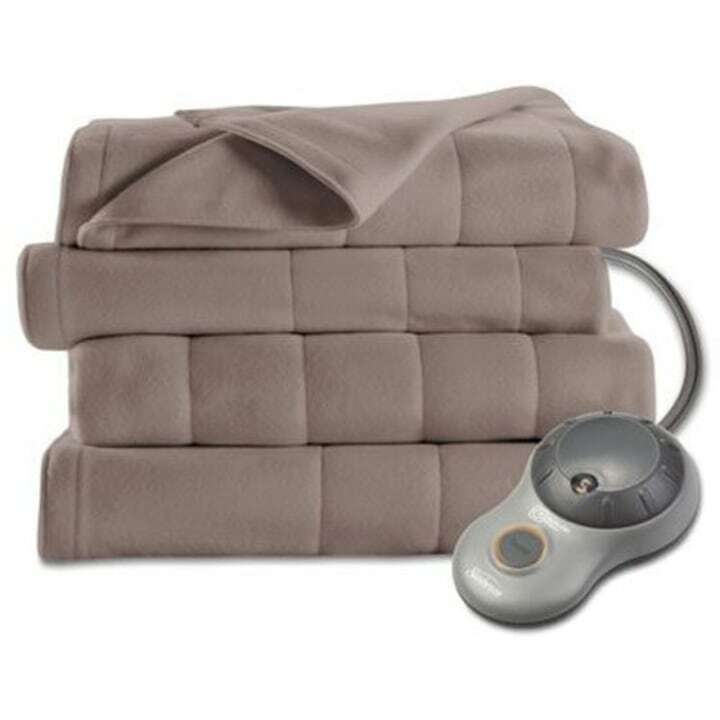 The comfy microplush throw features an ultra thin wire for extra comfort and a 13-foot cord for convenience.